Perfect Arrangement. Photo: C. Stanley Photography. Richard III (Hastings/Lord Mayor). Directed by Dr. Lindsey D. Snyder; NextStop Theatre Company, February 2014. Dani Girl (Marty). Book and lyrics by Michael Kooman, music by Christopher Dimond, directed by Chris Goodrich; Unexpected Stage Company, July 2014. The Music Man (Harold Hill, u/s, performed). Oregon Ridge Dinner Theatre, November 2012. T'ai Chi Man! Photo: Damia Torhagen. Nightmare Next Door, "Bloodshed in Biloxi" (Casey Miller). Investigation Discovery, May 2014. Capturing Oswald (Buell Frazier). Military Channel, November 2013. Evil Twins, "Roofie Romeos" (Spitzers' Father). Investigation Discovery, July 2013.
Who the (Bleep) Did I Marry, "The Third Mrs. Smith" (John Smith). Investigation Discovery, August 2011. War of 1812 on the Chesapeake: Home of the Brave (Hezekiah Niles). Maryland Public Television, June 2012. Turning the Page (Elliot Persinger). Boston University Center for Digital Imaging Arts, January 2013. T'ai Chi Man! (Small Thug). Tunguska Event, September 2013. A Game of Cards (Knight). National Conservatory of Dramatic Arts, January 2013. A Midsummer Night's Dream, WSC Avant Bard. Photo: Teresa Castracane. 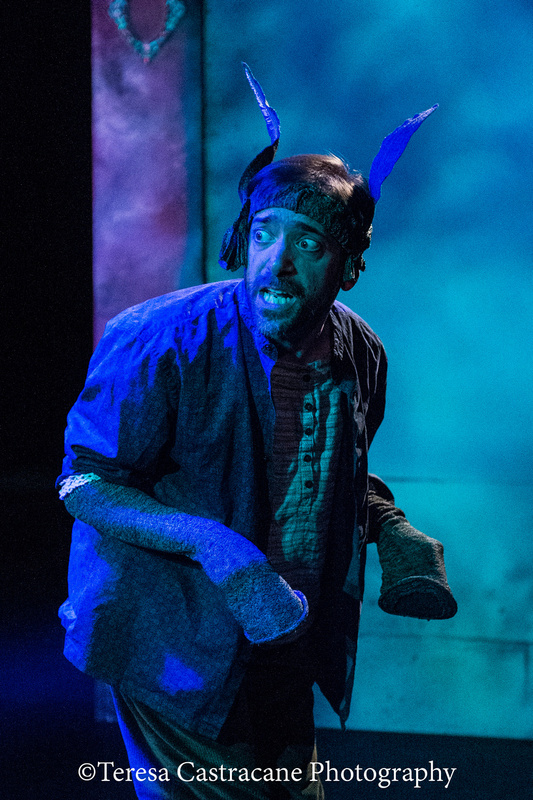 ...the production’s chief acting asset is Zach Brewster-Geisz, who conjures up a wonderfully idiotic and self-aggrandizing Bottom, complete with hilarious walk-like-an-Egyptian movements in the play within the play. ... Zach Brewster-Geisz supplies broad but welcome comedy as a dim-witted Lord Hastings, who thinks he needs to speak really slowly and LOUDLY when talking to Richard. Zach Brewster-Geisz (Hastings/Lord Mayor/Messenger/Herbert) is a standout throughout. The condescending way in which he speaks to Richard is both funny and sad; a commentary on the way disabled people are sometimes treated. He handles his quadruple casting superbly. Zach Brewster-Geisz shines in the comic role of Nick Bottom... In most productions, certainly the 10 or 12 I've seen, Bottom wears a donkey mask. But Mr. Brewster-Geisz wears only a donkey's ears; he conveys the rest through voice and body language, primarily by adopting the awkward gait of an animal walking on its hind legs. Collins is played deliciously by Zach Brewster-Geisz, who makes his character much more humorous than odious. As a slightly off-kilter character who rather appears to enjoy the sound of his own voice, Brewster-Geisz embodies the comic relief role [of Mr. Collins] quite well, with a keen sense of laborious pontification and priceless facial expressions. Brewster-Geisz as the ever-hungry servant gives Truffaldino a new attitude, one that is more self-serving and less playful than one would imagine, but his comic gestures and well-timed zingers are still perfectly executed. ... it is Zachary Brewster-Geisz who steals the show as the young, crude and incredulous Mozart. Throughout the play Brewster-Geisz is able to wax comic and tragic without the least bit of hesitation... superior acting.